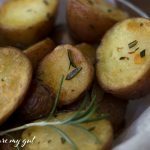 Instant Pot Crispy Rosemary Roasted Potatoes –these easy pressure cooked potatoes are soft on the inside and crispy and flavorful on the outside! A fabulous and easy recipe that is guaranteed to be a hit at brunch or dinner. 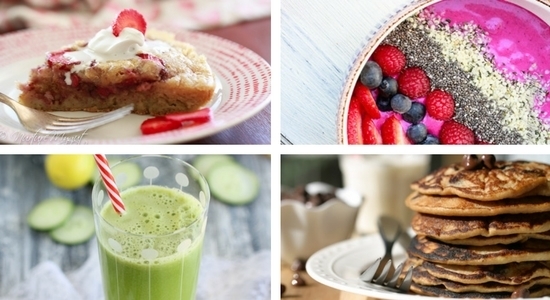 Everything can be done in the Instant Pot, this recipe is completely hassle free! Add water to instant pot, put potatoes into a collapsible steamer basket and cook at high pressure for 5 minutes. Wait 10-15 minutes and use an oven mitt to release remaining pressure. Remove potatoes and pour remaining water down the sink. Dry instant pot and add oil to instant pot. Put instant pot on “Saute” mode. Cook potatoes cut side down in instant pot. Add rosemary over potatoes. Brown potatoes about 4 minutes on cut side and 2 minutes on the back side, more if you like them crispy all over. Potatoes will naturally release from the bottom of the instant pot once they are browned. Do not try to remove before they are browned or they will stick. Pour potatoes into a serving dish and sprinkle with salt and pepper, toss to coat evenly. Serve hot.